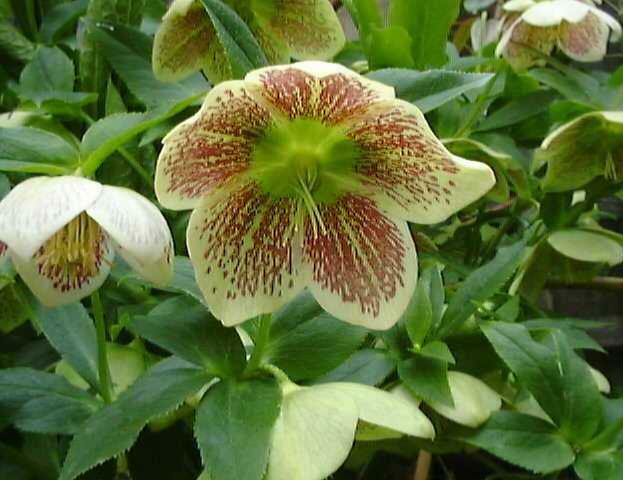 Helleborus hybridus orientale 'Cosmos Strain' is a very pretty, with pendulous or outward-facing, saucer-shaped, pure white flowers with heavily speckled with maroon at the base of each petal. It flowers from February to April and features leathery, deep green leaves. This attractive unusual white spotted variety which is perfect as a ground cover for areas of dappled shade under deciduous trees and shrubs, is best planted near to where you pass frequently in winter and where they will not be overwhelmed by nearby plantings. 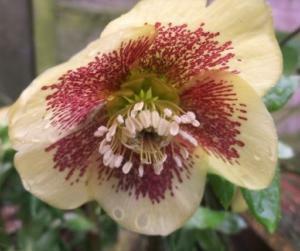 Like all hellebores, they prefer a good, neutral to alkaline soil.